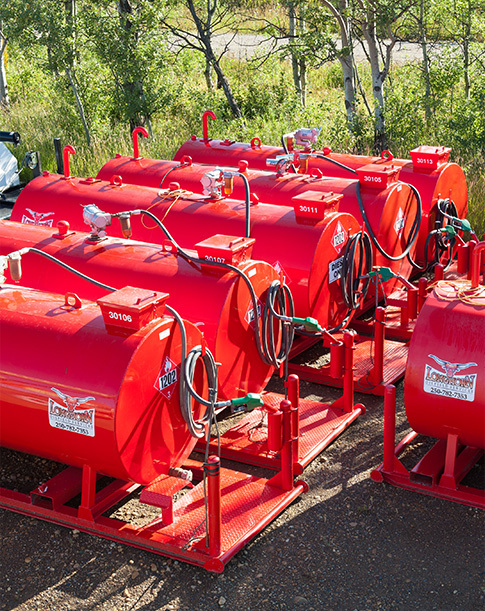 We offer 100, 500, 1000, and 5000 gallon fuel skids. All fuel skids come with water block filters, electric pumps, and auto shut off nozzles. Our 100 gallon skids are caged in a metal enclosure with fork pocket holes for safe and easy on site refueling.